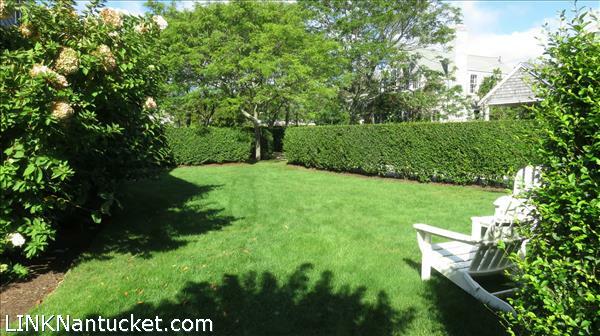 This spacious and inviting ‘Sconset home with first and 2nd floor water views, is accessed down a shelled driveway lined with privet hedges. 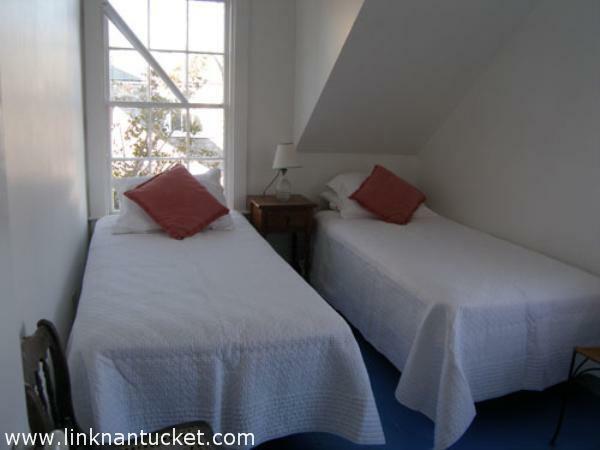 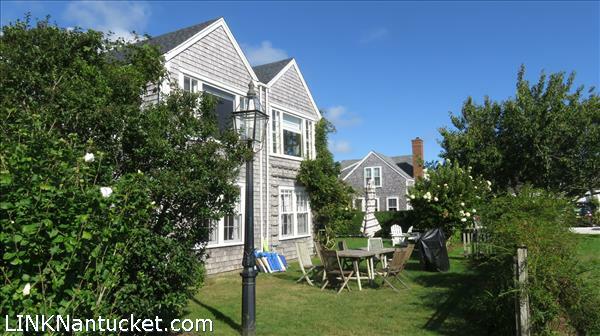 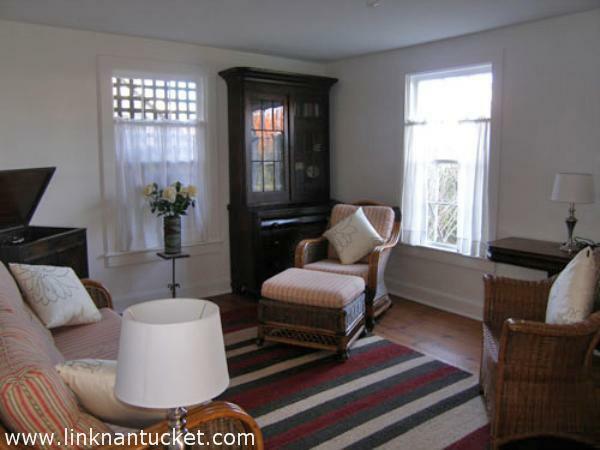 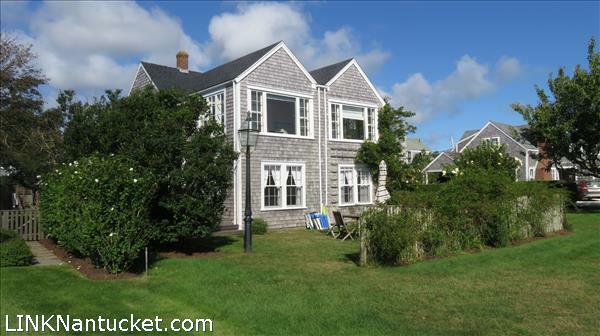 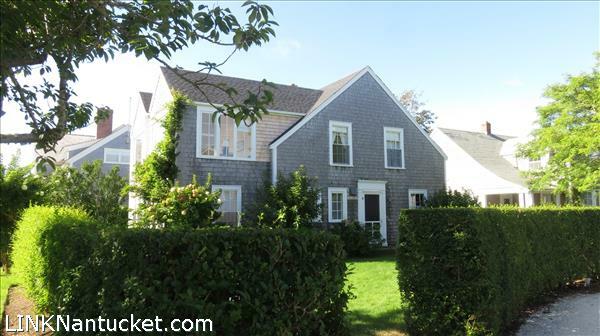 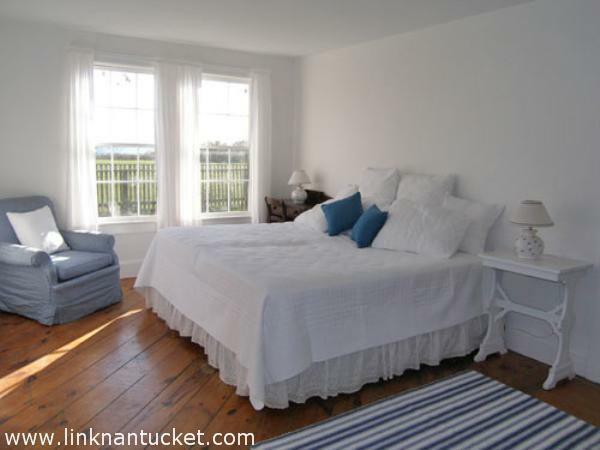 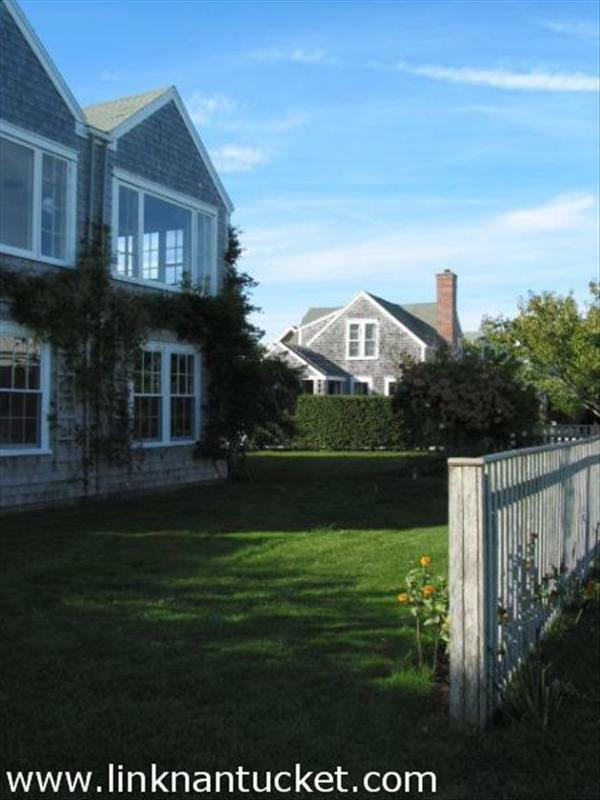 The property is a short distance to the village, and has deeded access to the ‘Sconset Bluff Walk where Nantucket Land Bank owned stairs provide access to the beach. 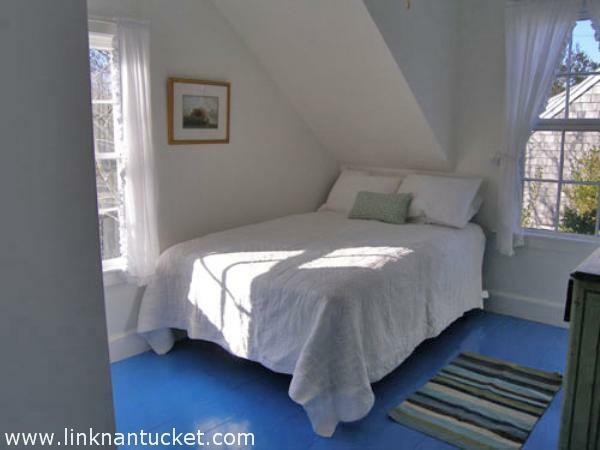 The ceiling heights are high and the rooms are generously sized. 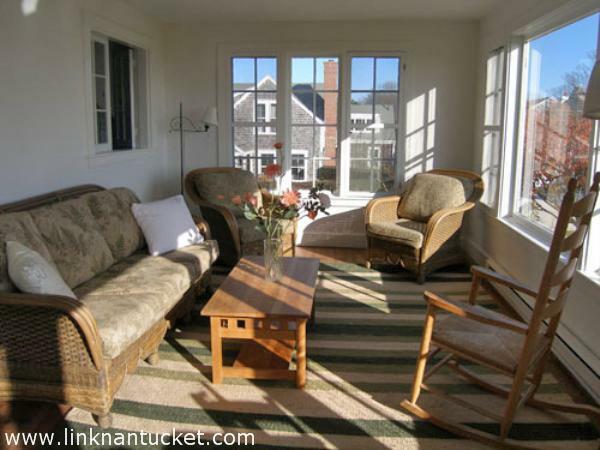 First Floor: The front door opens into a spacious sitting room with access to the front bedroom suite and a hall with 1 more bedroom suites, a den with powder room with a private deck, and stairs to the 2nd floor. 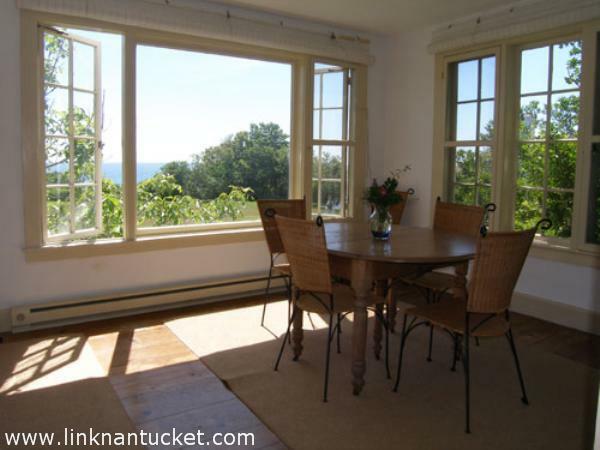 Second Floor: Two large picture windows in the open living and dining room which spans the Eastern side of the building offer unobstructed views of the ocean. 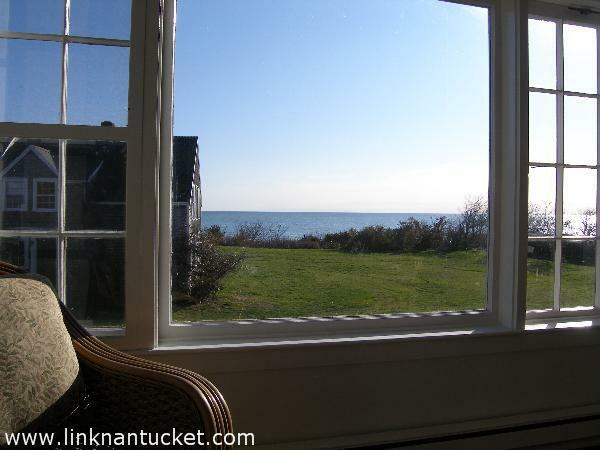 The view is also appreciated from the updated kitchen which is open to the dining area. 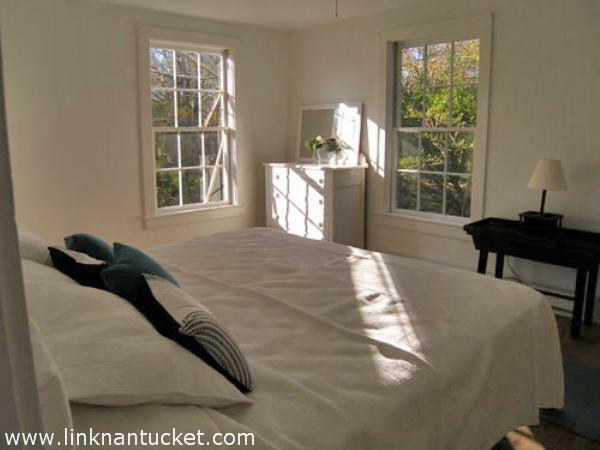 Down a hall are four bedrooms, an updated full bath and powder room.